Engineering and technical component supply company WDS Component Parts Ltd. is expanding its range of levelling feet, or machine feet as they are also known, to include new styles, new materials and new features. 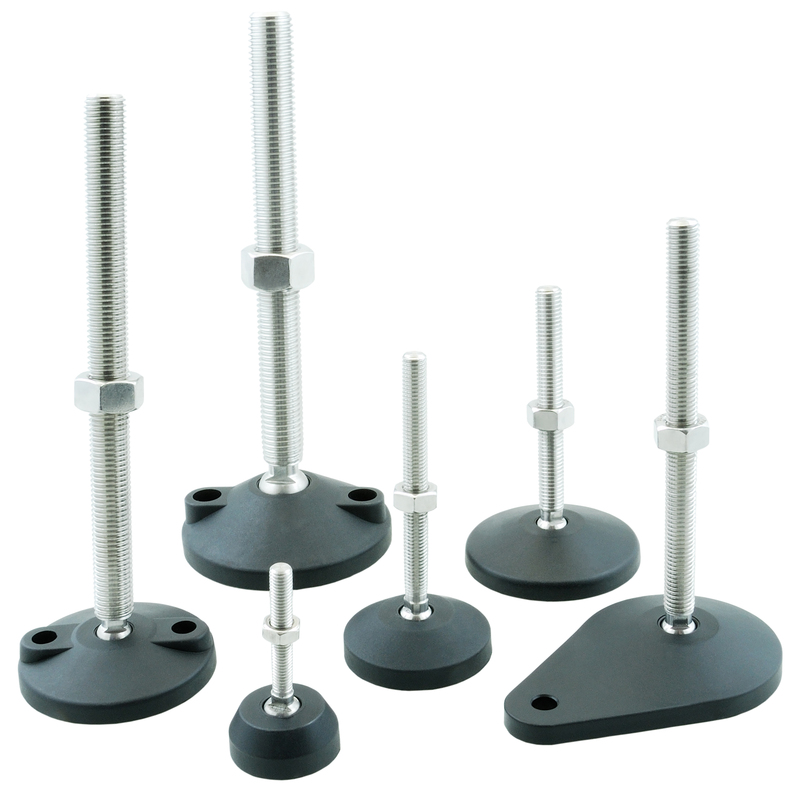 Levelling feet are used to support all manner of machines – industrial, medical, scientific etc. as well as cabinets, furniture and display equipment. In fact, they can be used to support just about anything, from stage sets to library shelves, laboratory instruments to control panels, gym equipment to security barriers. It is little wonder then that WDS regularly adds new versions and options to its range. Typically the new feet are developed for a particular customer or to meet the needs of a given application, and are then uploaded to the company’s on-line catalogue (www.wdsltd.co.uk) from which any customer is free to order them for their own project. The feet are available in both high-performance engineering plastics, such as polypropylene, and in a range of metals including zinc and nickel plated steel, 303, 304 and 316 grade stainless steel. From early 2019, a new style of fully 316 stainless steel feet will also be available for extremely demanding projects. 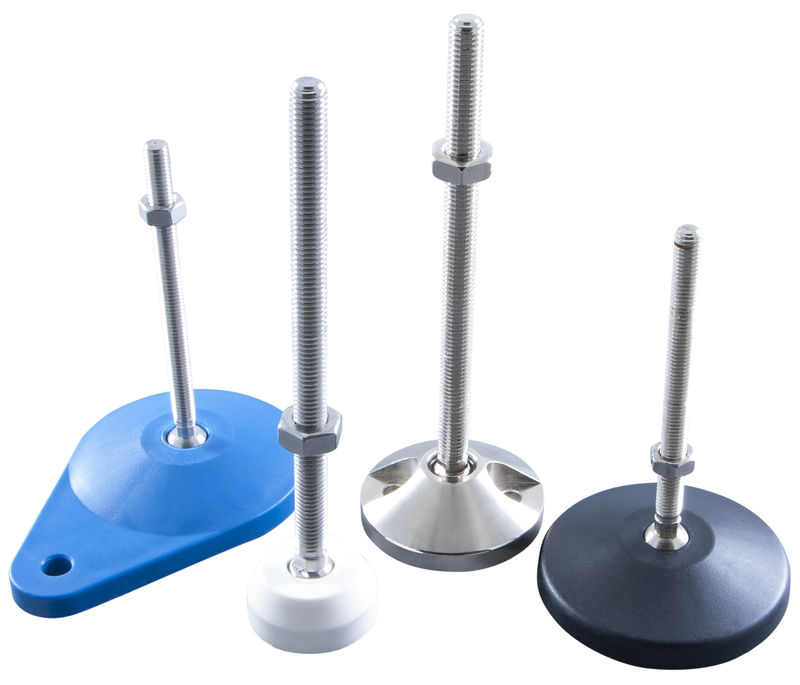 The feet are available with blue or white anti-microbial polypropylene bases for use in clean and hygienic applications such as food processing, pharmaceutical production and hospital equipment. The high-performance corrosion resistant materials are also suitable for outdoor use. 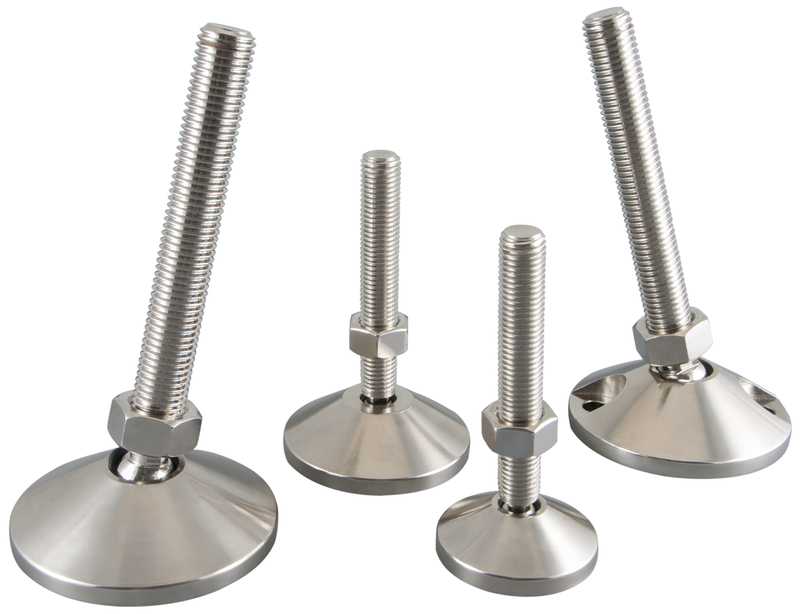 The threaded stems that provide the levelling adjustment are available in plated or stainless steel and a ball joint gives the feet up to 15° of articulation to ensure they sit square and firm even when the floor is uneven. In certain models The ball joint is fitted with a seal to ensure cleanliness and prevent the ingress of dirt, moisture and bacteria. A PVC rubber pad is provided to ensure a secure footing on slippery floors. The feet themselves come in a range of profiles, such as high profiles to provide robustness and high load capacity or low profiles for elegance and aesthetics. Their size range is from 40mm diameter to 125mm diameter and stem lengths from 50mm to 300mm. The full range of levelling feet is detailed on www.wdsltd.co.uk, accompanied by technical details such as dimensions, materials of construction and the various options. The site also provides access to e-mail and telephone help lines so that expert advice is always close to hand. Ordering levelling feet, in any quantity, can be done via the website, or by telephone (0845 606 6677) and even by post. Overseas buyers have a choice currency in which to pay and most orders are dispatched overnight. Image 1: Engineering and technical component supply company WDS Component Parts Ltd. is expanding its range of levelling feet. Image 2: Levelling feet are used to support all manner of machines – industrial, medical, scientific etc. as well as cabinets, furniture and display equipment. Image 3: A PVC rubber pad is provided to ensure a secure footing on slippery floors.